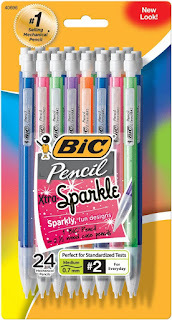 Not sure what it is with the kids this year, maybe the grade but they are all about mechanical pencils. 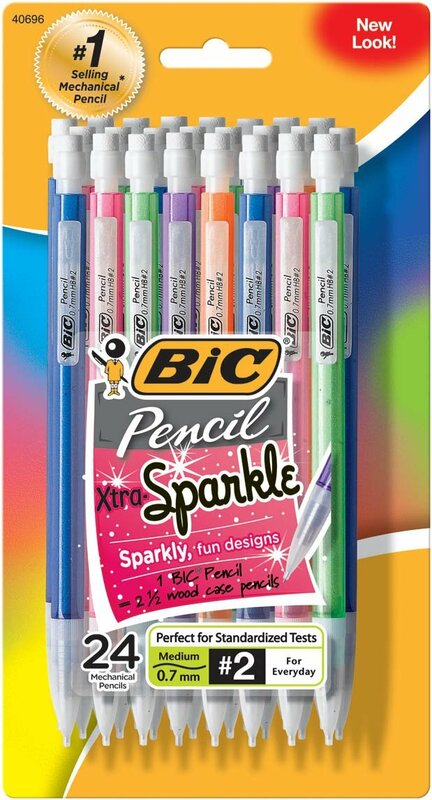 My daughter is going to be super excited about these BIC Pencil Xtra Sparkle (colorful barrels), Medium Point (0.7 mm), 24-Count for $5.99 (Retail $12.80). Yep it's a stocking stuffer!